May. I never thought it would get here. Warm weather, sunny skies and yard work. Please don’t forget your Grange as you venture out for these long-awaited activities. Has your Pomona had its’ Talent and “A Number” run-offs yet. Every Grange has some talent. The “A Number” theme this year is “Gardening in Connecticut”. I have heard of two entries in this contest so far at the State level and they are about as far apart in content as can be. All Pomonas are expected to have an entry in this contest. If necessary the Pomona Lecturer can get people together from various Granges in their Pomona and put on the number. The endless possibilities using this theme should make for a great contest at Let’s Celebrate. Let’s Celebrate will be held June 8 and 9 at Cheshire Grange Hall. Entries for the Photo Contest are due at Cheshire Grange by 10:00 a.m. Saturday, June 8. The hall will be open by 9:00 to receive these entries. Or, you can mail them to me in advance. Most everyone takes pictures. Let’s show off where we have been or those special Grandchildren. Complete rules are in the bluebook plus your Lecturer was provided a copy earlier. I already have judges for this contest. Please provide them with lots of pictures to judge. On Sunday June 9 the hall will be open at 10:00 a.m. for those who want to get an early start and check out not only our winners but also those in the CWA Department. 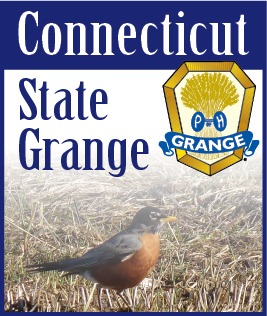 At 11:00 a.m. our State Chaplain will conduct her Grange Sunday Service. This will be followed by a Lasagna Dinner hosted by the Youth Committee. Our turn starts sharply at 1:00 p.m. with the Talent and “A Number” judging. Come and join us for a true day of Grange Fellowship. Remember, if you ever have questions or need help I am as close as your phone, computer or mail box. Enjoy the nice weather. See you around the State.